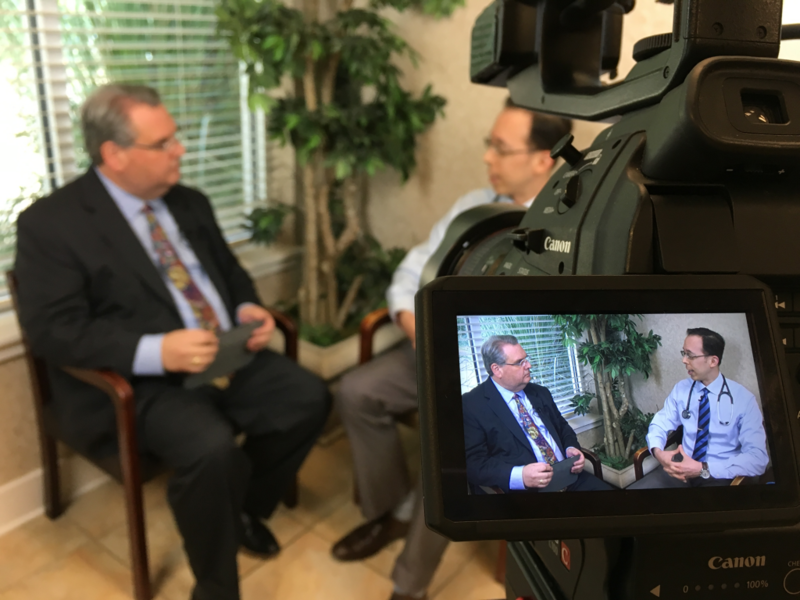 In this episode of the eCW Podcast, our host, Brian Saal, takes time to discuss Chronic Care Management (CCM) with Dr. Haseltine from Pawleys Pediatrics & Adult Medicine, located in Pawleys Island, South Carolina. The pair engage in conversation regarding CCM and how it has helped improve the quality of care Dr. Haseltine provides to his patients. 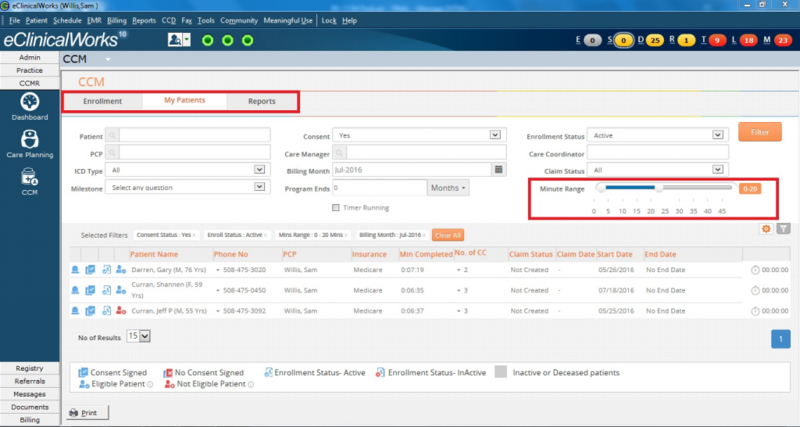 eClinicalWorks’ Chronic Care Management (CCM) module allows practices to closely manage patient enrollment and program activities, and records the time providers spend with each patient each month with a time tracker integrated into the workflow. Providers simply start the timer when initiating a phone call or conducting other non-face-to-face activities on behalf of the patient, and can then track progress toward the 20 minutes per month target. 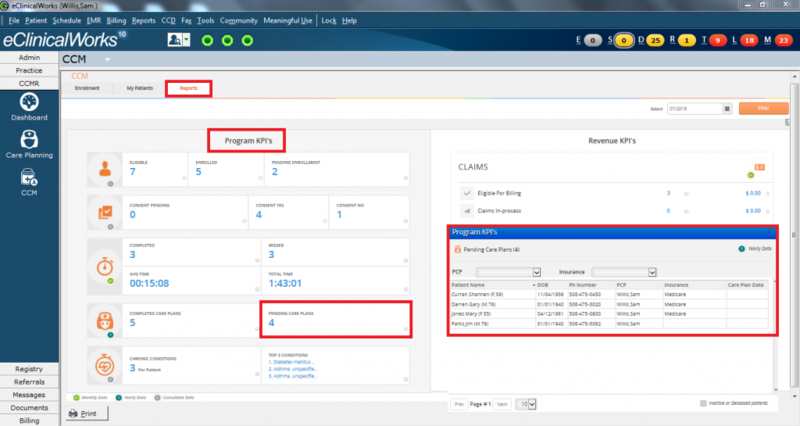 The module includes billing automation that makes it simple to submit claims. Once a patient in enrolled in the Chronic Care Management (CCM) program, providers — including physicians, nurse managers, and case managers — can create care plans tailored to the patient’s conditions and needs. eClinicalWorks’ CCM solution allows providers to track Key Performance Indicators (KPIs) for 27 chronic conditions, integrated into the practice’s workflow, ensuring the closest possible monitoring of each patient. Telephone interviews are at the heart of the Centers for Medicare & Medicaid Services’ Chronic Care Management (CCM) program, an initiative to help medical providers achieve the best possible health outcomes for their patients with multiple chronic conditions. The CCM program reimburses providers for non-face-to-face services, including phone calls, research, and consultations with other providers and specialists — services many practices have been providing, but for which reimbursement was not previously available. Brian: Welcome to another edition of eCW Podcast, my name is Brian Saul, I’m your host for today. We’re here in Pawleys Island, South Carolina with Dr. David Haseltine – he’s with Pawleys Pediatrics & Adult Medicine. Today, we’re going to be talking about Chronic Care Management. Thank you for joining us, doctor, we really appreciate your time. Dr. Haseltine: Yes. Pleasure to be here. Brian: We talked a little earlier about giving a brief description of what the CCM program is. Before we start could you just give us a brief overview of it? Dr. Haseltine: Sure. Chronic Care Management was started out by centers for Medicare & Medicaid, probably about a year or so ago. And it’s designed to give people who have two or more chronic medical problems, some additional help, in terms of a nurse care manager or additional nursing staff, who can actually help guide them through those problems on a regular basis. Brian: And how did you first learn about it? Dr. Haseltine: I think I first learned about it from one of these throwaway journals that everybody gets in the mail – and you toss ‘em and you read them and you say ‘Oh, this is a little interesting,’ and over time you start seeing more and more articles and eventually you say ‘Hey, that might be really something that could benefit my patients’ – so we took it from there. Brian: For preparation, what did you actually do to begin to prepare for putting this program into place? Dr. Haseltine: Sure, we actually have an outstanding staff here so we had our nurse manager at the time, as well as our office manager, Lynne Read, and eventually we hired a nurse care manager, who would be overseeing the program, and so we basically set them loose and said ‘Hey, we as physicians are really interested in doing this program, please go out – research everything that you can and come back with us with a plan, in which we can actually begin to work with this hopefully in a few months.’ So three months later, they came to us with a plan and we got started from there. Brian: That’s really fantastic – it’s different than what I’ve heard in the past, that’s certainly a great way to approach it. You mentioned that your physicians were involved with it, obviously, did you have complete buy-in from the physicians? Was there any pushback from providers? Dr. Haseltine: Yeah, I think two of us were really interested in it to begin with, and some of the rest are a little bit more reluctant to engag and see how it went, before moving forward. I think that probably is still reflected in our numbers, I think a few of us are a little bit higher than everybody else. Brian: And staff, as well? Were they anxious, or were they excited to get into the program? Dr. Haseltine: Yeah, I think they didn’t seem to have too much difficulty buying into the program. A lot of it is what they’re doing already, so the only additional thing they need to do is start keeping track of their time and the eCW product offered a fairly easy way for them to do that. So, as a result, it was not too hard to get staff behind it. Brian: That leads into a really good question, and as we mentioned earlier – there’s a 20-minute time period that needs to be filled in between patient visits. What’s your staff and what are your providers doing to fill those 20 minutes? Brian: You know, I may have gotten a little bit ahead of myself by asking that question. Let me take a step back and ask what the process is that you use to enroll a patient into the program, or even get them interested in the program upfront. What do you do with the patient on that? Dr. Haseltine: We start even before they come into the office. So we have some papers that we mail to the home, just so they have a good overview of what the program is – it’s about one or two pages that tells them what chronic care management is, what they could expect, how the nurse manager could help improve some of their care issues. And so that really gears them up when they are present in the office, our MAs who go in and speak with them have the opportunity to go into into greater detail about what the program is, and the benefit. We actually hand them something in the office that says here’s what the program is, so those people that are better at reading than listening might be a little better with that. And then they have a chance to read through that all before the physician even comes into the room. So if we really do a good job — and some of our certified MAs are excellent at this — then they’ve really teed up the program so that all the physician has to do is basically hit the home run at the end. So if the bases are loaded, then the physician at the end just has to say ‘Hey here’s what we’re going to plan on doing, here’s how we can help you, and here are the charge fees and here’s how you would end up revoking the process if you needed to – here’s how we think it would be a good benefit,’ and then decide where people can stand up so – all together it doesn’t take too long once everyone’s done the work ahead of time. Brian: There is a consent form that needs to be signed – is that something you send out with the original packet or is it something that’s presented to the patient when they’re in the office? Brian: And overall, what’s patient reaction been like? Brian: That’s great. It’s so helpful when you have that level of staff available to you to help the practice out. I’m here talking about Chronic Care Management with Dr. David Haseltine, we’ll be back in just a second thanks for joining us. Brian: Welcome back, I’m Brian Saul, I’m here with Dr. David Haseltine – we’re talking about chronic care management. A few minutes ago we were talking about some of the positive aspects of signing people up. Can we talk a little bit about some of the hurdles that you’ve had to overcome in dealing with patients at this level? Dr. Haseltine: Well, there are a number of things we had to watch out for, first of all there are a number of restrictions CMS has that everyone needs to be aware of – you do need to make sure you’ve got someone on call 24/7 – so if you don’t have that in place it’s important that that’s undergone. You also need to make sure you’ve got the capability of sending a summary of care electronically to some people – we actually didn’t have that capability with the health information exchange area, so we have created our own work-around in that we can send the CCD document that eCW creates, through a secure email, to anybody who requests it at any time. So it did take us a while to wrap our heads around that – the faxing is not allowed anymore for this, so that is something we need to be aware of. Those sorts of things are important for those who do their due diligence and to check and make sure you’re not going to get caught up in something that CMS is requiring ahead of time. 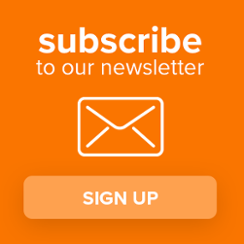 We’ve also had some trouble in terms of getting people to sign up – there is a fee for doing this and sometimes it is difficult to convince people to pay for things that some of them have been already receiving, and then also some people are very low income and don’t have funds to do even $8 a month, which the fee may be. So it is difficult, we do wish that CMS would reconsider some of those things. And some people obviously don’t seem to see much of a benefit in it, so that’s OK. We hopefully do try to prove to them that there are benefits. We’ve had some people who have been on the fence ahead of time, who have been through the program and say afterwards ‘I’m really glad we had that opportunity.’ I actually had one lady come in today who had a urinary tract infection – she said ‘You know, I was just going to stay home. But the nurse care manager convinced me, I really needed to come in,’ and she did have some problems beyond her urinary tract infection that had to be addressed. So there were some benefits there. Brian: Oh that’s fantastic. So, one of the things you mentioned were, in terms of requirements as well, are care plans. Care plans are required, you mentioned that you’re using sort of an abbreviated version of the eCW one. Can you tell us how you use care plans within the program? Dr. Haseltine: Sure. So we initially have the doctors set out at least two goals that they want their patients accomplishing through the nurse care manager. And then she will take the existing care plan that we have with eCW. We have another physician go in and cut it down a little bit – which it would usually take about two hours to go through, so I think that was a little hard for everybody involved to go through with the patients, all the other on the telephone, and with her as well. So we’ve got to a point where there’s about 30 minutes of key questions that we hope she’ll be able to answer. And it makes it easier for the physicians to review as well. And along with those two goals, those two real comprise the initial care plan that we expect people to adhere to, at least for the first few months – and it can change in any point in time, depending on how well we’re doing. Brian: While you’re mentioning ease-of-use with the care plans, can I get you to elaborate a little bit on your use of the CCM module within eCW – ease-of-use or non-ease-of-use – whichever your experience has been? Dr. Haseltine: Well I think it’s made something that would be difficult to do, much easier to do – so you know you can imagine having to sit there with a stopwatch and click it every time, and if you try to write things down on paper, then after a while you’d have these mounds and mounds of paper and stopwatch tickers and things like that, and it would be very difficult to figure out how to do. We did actually try at one point to create Excel spreadsheets to do this and they failed miserably. It really was hard to coordinate that with the charts and get everything together. 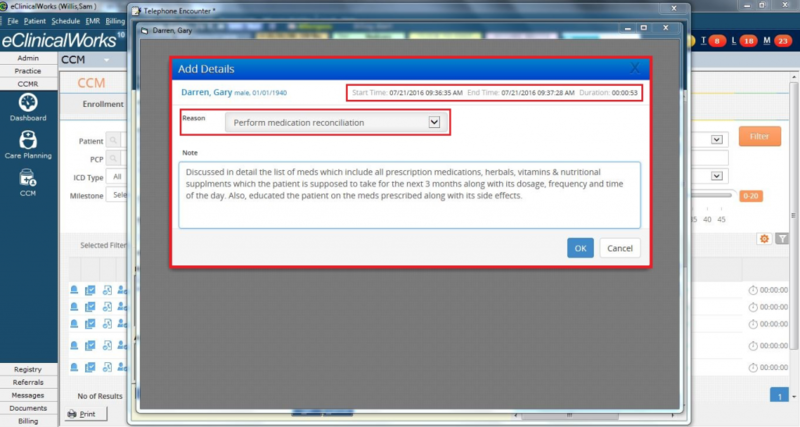 So, being able to have something that’s already included with the patient’s chart that has just a button you can click at the end and then it automatically pulls up a list of responses that you can categorize the time that you spent — makes it much easier in terms of managing this. In terms of trying to figure out, also, who have you not been able to get in touch with, and whom do you still need to get in touch with for the rest of the month? That’s a very good, helpful means that the eCW program offers, as well. Brian: Sure, it allows you to have complete follow-through on that patient. It’s funny because you say about the spreadsheet solution – there’s not a provider that I’ve talked to that’s worked for. Kind of a strange question: Now, the patient can actually sign up for this program with almost as many providers as they’d like, so if a patient comes out after an MRI, and they see their cardiologist, the cardiologist can sign them up and then when they come to see you, you can sign them up – have you ever had any issues with that? Dr. Haseltine: We haven’t actually – we’re probably one of the first people in the area to start the program, and, as a result, we don’t see that many subspecialists are doing that at the present time. So, for us, from a primary care standpoint, being able to be first in the area really provides the all-encompassing care that we think our patients really need has been the opportunity to do really well. And I can foresee in the future that it might be a possibility at some point, but right now we’re not seeing any problems in that respect. Brian: Good. Overall, if you were speaking to another provider, or another group of providers, and what would you say are the must-do’s or must-don’t or must don’t-do’s? What are your tricks of the trade that you would provide to these folks? Dr. Haseltine: Well, I think there are several things that they need to do – one is, really, know in detail what the requirements and two, be accepting of change, because this really is a change in how we do business and if you look at how healthcare’s been set up over the past few years, we’ve had some big shifts in medicine. In the 1960s it was with the onset of Medicare. In the 1990s everybody moved to the manage care environment. Here we are now, we’re shifting toward value, rather than volume. So this really is a good step in moving down that pathway, it allows you to kind of figure out ‘How can I be providing services to people on and ongoing basis, rather than just one time that they’re in the office.’ And so, for us, I think that’s a necessary step in making sure that we’re a viable practice and making sure we’re here to serve our patients for the long term. Brian: Sure, that’s a very good point how it’s sort of a very good first step in moving away from that fee-for-service into the value-based payment model. Doctor, you just made a very good example of how this has had a positive impact on patient care, with the person who had the urinary tract infection. Have there been any more dramatic episodes other than that one? Dr. Haseltine: Sure, we really did have one, in fact this was a guy who had diabetes and had high blood pressure – it was actually fairly well-controlled. So, in the beginning when we presented it to him, he said ‘Yeah, you know, this sounds like a good program, but I think I’m doing okay and I’ll probably sign up for a month or two but I expect to stop in about a month or two, I don’t think it’s going to add very much benefit.’ Then, about a month later, the nurse manager called him up and she said ‘How are your blood sugar levels doing?’ and he said ‘Oh they’re about 100,110.” She said “Oh that’s great – how’s your blood pressure doing?” and he said “Eh, it’s about 120 over 60.” And she said ‘Oh, that’s great, too!’ and at the very end she said ‘Is there anything else that’s going on?’ he said ‘Yeah, I’ve been having a little bit of chest pain and I think it’s just due to my nasal spray and I’m going to ignore it.’ So she actually called me up and said ‘What do we do about this chest pain?’ I said ‘Let’s get him in right now.’ His EKG was not entirely normal. We had him for a stress test, it showed another problem. We got him down for a cardiac catherization and he need a three-vessel bypass. So, this is a guy, who, if you think about it, if he hadn’t been caught by the nurse care manager – really one of two things would have happened: He would have had a massive heart attack and probably would have died from that, which would have been a really bad outcome for him, or worse, for the hospital system, if he had a heart attack and had been left with congestive heart failure because he waited too long, he could have been in and out of the hospital for the rest of his life trying to manage care from that. But, as it is, he is now up, walking, perfectly fine – sure, he had to have a three-vessel bypass, but he’s perfectly functional, he’s enjoying life and the hospital system has the benefit of not having to do all this chronic management problems for lifelong. So it actually has been an outstanding, safe program for him – and we’ve actually had a hard time trying to get him to stop bringing in gifts for some of the practices, as well. But he’s a great guy and we’re glad he’s doing very well. Brian: That is an absolutely amazing story – thank you so much for sharing that with us and thank you for spending your time with us, here, Dr. Haseltine. I’m Brian Saul, thank you for joining us on the eCW Podcast.